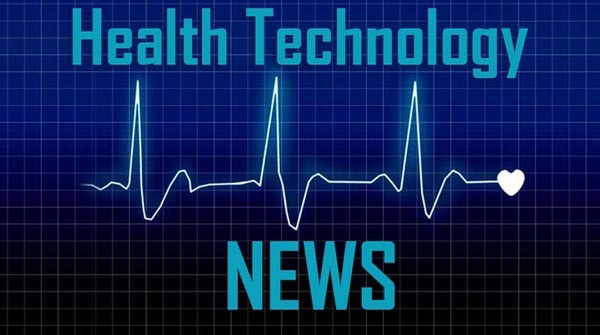 SALT LAKE CITY, March 14, 2019 /PRNewswire/ — Artemis Health, a benefits data analytics company, today announced a Series C funding round to further expand and scale its platform and services. The $25 million round was led by Bessemer Venture Partners with participation from Maverick Ventures, F-Prime, Hearst Health Ventures, and Rose Park Advisors. Bessemer Venture Partners has a history of investing in health tech companies, and their portfolio has included Allscripts, Bright Health, Liazon, Welltok, and DocuTAP. Artemis Health, based in Salt Lake City, Utah, provides self-insured employers with insights into employee benefits data to help them reduce wasteful spending and provide effective, affordable health and wellness coverage for employees. Nearly 50 percent of Americans get their healthcare coverage through their employer, so that’s where Artemis Health has focused its efforts. The Artemis Platform gives human resources professionals the insights, data, and analytic support they need to make data-driven decisions about employee benefits. Artemis clients use their benefits data to help employees lead healthier lives; for example, they’re eliminating wasted prescription spending, tracking the success of wellness programs, and finding gaps in care or coverage. Steve Kraus, a partner at Bessemer Venture Partners, will be joining the Artemis Health Board of Directors. Kraus is a current board member for health tech leaders such as Welltok, Bright Health, Groups, Qventus, Health Essentials, Docent Health, and Alcresta. “Artemis Health is a natural addition to Bessemer’s healthcare portfolio. For the past two decades, we have partnered with high growth companies that are addressing big challenges in healthcare. Artemis is in a unique position to positively impact not just their clients’ bottom lines, but also the lives of the millions of people in our healthcare system. I am thrilled to help shape the bright future ahead for Artemis,” said Kraus. 2018 saw tremendous growth for Artemis Health, including doubling the employee count, adding new functionality to the platform, and creating a next-generation data management system. The Artemis Platform now improves the lives of over 4 million employees and their families who receive benefits through our employer and broker customers. At Artemis Health, we are striving to help fix healthcare in America. We’re making it easy for self-insured employers to use their own benefits data to offer better health benefits for fewer dollars for their employees. We believe that everyone should have good healthcare that they can afford. Learn more about our benefits data analytics solutions and services at www.artemishealth.com. Bessemer Venture Partners is the world’s most experienced early-stage venture capital firm. With a portfolio of more than 200 companies, Bessemer helps visionary entrepreneurs lay strong foundations to create companies that matter, and supports them through every stage of their growth. The firm has backed more than 120 IPOs, including Shopify, Yelp, LinkedIn, Skype, LifeLock, OvaScience, Allscripts, Twilio, SendGrid, DocuSign, Wix, and MindBody. Bessemer’s 15 partners operate from offices in Silicon Valley, San Francisco, New York City, Boston, Israel, and India. For more information, please visit www.bvp.com.